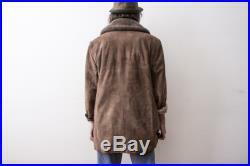 Add me on instagram: the. 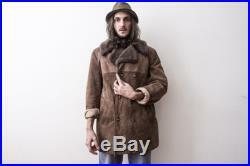 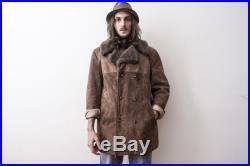 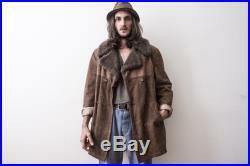 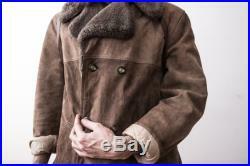 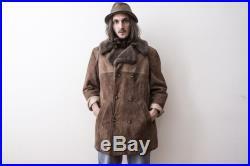 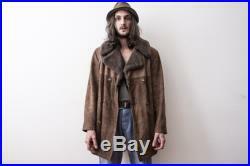 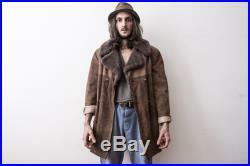 Pendulinevintage 70s sheepskin jacket from bore'two front pockets. 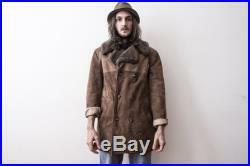 Deep brown authentic sheepskin shell. 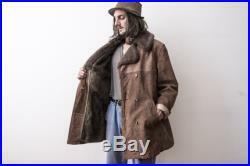 Estimated size is medium100% sheepskingood vintage condition measurements chest (pit to pit): 61 cm 24'' sleeve (shoulder seam to end of cuff): 62 or 24.5''shoulder to shoulder: 51 cm or 20''total length: 80 cm or 31''b20920 all.